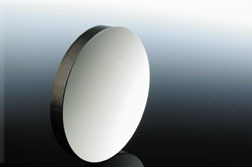 Metallic coated mirrors make very broad bandwidth reflectors. 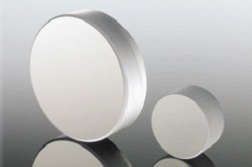 Usually it is best to protect the coatings with a durable dielectric layer as they are very soft and susceptible to scratching. 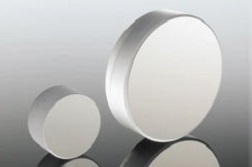 The table shows the reflectance of each of the metals without any protection or enhancement. 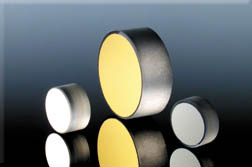 Protected metallic coating has a dielectric coating layer over the metallic layer to protect the coating from being oxidized in the air or from scratched.